It is now hard to imagine a world with no mobile phones, or internet, or laptop computers. But that was the world back in 1975, the year when millions of beach hotel bookings were cancelled and a whole generation of people would be scared to even dip their toes in the sea, lest the great white bogeyman got them. This month marks the 40th anniversary of the release of a movie which seemed doomed to fail. 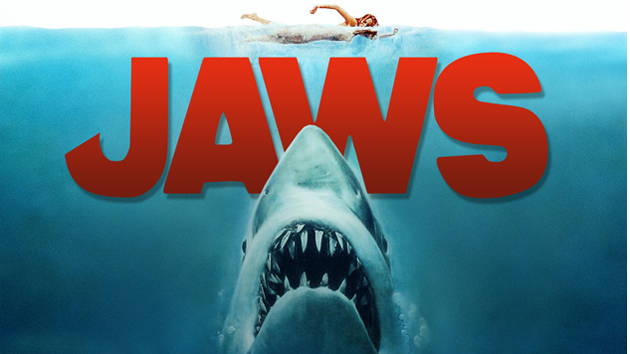 Jaws opened in 466 cinema screens across America on June 20, 1975. The story is, on the surface, straightforward enough; Great white shark picks the warm waters around the holiday resort of Amity Island as feeding grounds. The island’s chief of police (Roy Scheider), an ichthyologist (Richard Dreyfuss), and a seasoned shark hunter (Robert Shaw) team up to catch the beast. Of course, there are many underlying themes both in the movie and the book which it based upon, and scholars and film experts have interpreted Jaws as everything from a tale of masculinity in crisis to a post-Watergate, paranoia-filled story of corrupt authorities. Whatever your take on it is, the truth is that Jaws heralded a fundamental cultural shift in the way the movie industry worked, and it can be argued that it singlehandedly gave birth to the summer blockbuster phenomenon. Yet, for all its well-deserved merits, the production of Jaws was fraught with problems. For starters, the movie’s very centrepiece, the shark itself, never really worked the way it was supposed to. Nicknamed Bruce, after Steven Spielberg’s lawyer, the shark model was a mechanical contraption which worked just fine in the testing warehouse, but the moment it was launched into seawater, Bruce floundered big time. Shot after shot and day after day of wasted footage became the norm for the production crew, and the movie would eventually –and spectacularly- overshoot its production schedule and budget. Spielberg himself thought he would never be allowed to direct another movie again. Yet, in a way, Bruce’s failure would become the very reason that Jaws’s tension and frights worked so well. Out of sheer necessity, since the thing wouldn’t work properly anyway, Spielberg was forced to show as little of the shark as possible, and just like that, the magic happened. It was what you didn’t see that frightened you. The sense of unseen menace. Brief, close up shots of a giant sea monster lurking beneath the waves teased the audience’s primal instincts, and long enduring images would become etched in the minds of millions of people worldwide. Many believe, and would not get argument for me, that the template for the summer blockbuster was laid out in Jaws’ very fabric. A whole generation of so-called ‘mall-kids’ would begin flocking to multiplexes nationwide, summer after summer, to watch the latest big-budget wonder from A-list studios. And lots of kids meant lots of dollars. The summer months had traditionally been considered “slow” in terms of big cinema releases. But Bruce changed all that. Producers soon realized that summer was the prime time for movie audiences. The entire release calendar was modified after Jaws’ massive success. Jaws sold 25m tickets in the first month after release. Worldwide, it made close to $2bn, when adjusted to inflation. And just like that, the summer blockbuster machine was born. Of course, the trend has continued over the years. Every summer, our movie screens are graced with the latest Hollywood production, flashier, longer, and louder than the one that came the previous year. This summer here in Ireland will see the release of the latest instalment in the Terminator franchise, Terminator: Genisys (July 2), and of course, the new Jurassic movie, Jurassic World, is just around the corner (June 12). And for the smallies in the house (and the not so small, as the minions seem to have quite a wide-reaching appeal), the Minions movie is hitting our cinemas on June 26. 40 years on, and probably for 40 or a 100 more, the movie screens will be packed, summer after summer, and overpriced popcorn will make someone a bit richer every time. Yet, that is the enduring magic of cinema. A SAS marksman reportedly targeted and killed three ISIS militants from a distance of 1,000mts. Using a Barrett M82 .50 calibre rifle, the world’s most powerful sniper rifle, the SAS operative shot and killed three militants holed up inside a building. Calling in an airstrike or utilizing heavy weaponry was deemed too risky due to the possibility of unnaceptable collateral damage. Thus, the task was given to a sniper, who took position about 1,000mts out from the objective. He fired about 30 .50 rounds into the target building, almost demolishing a wall and eliminating the threat. 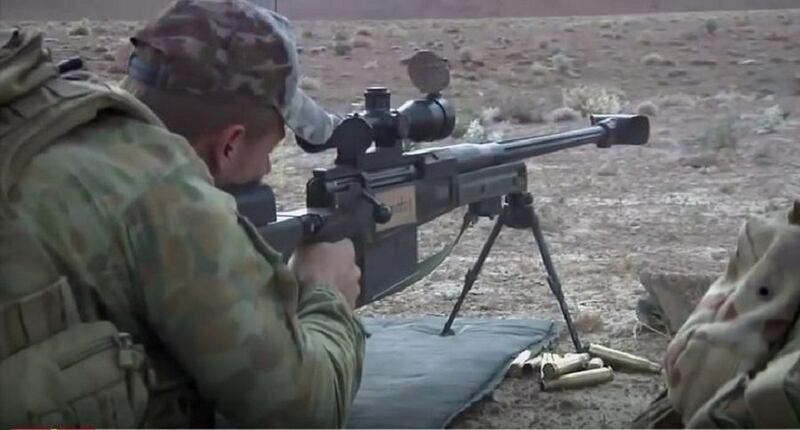 Munition from a Barrett rifle can successfully penetrate brick walls and other hard targets up to range of 1,800 metres.